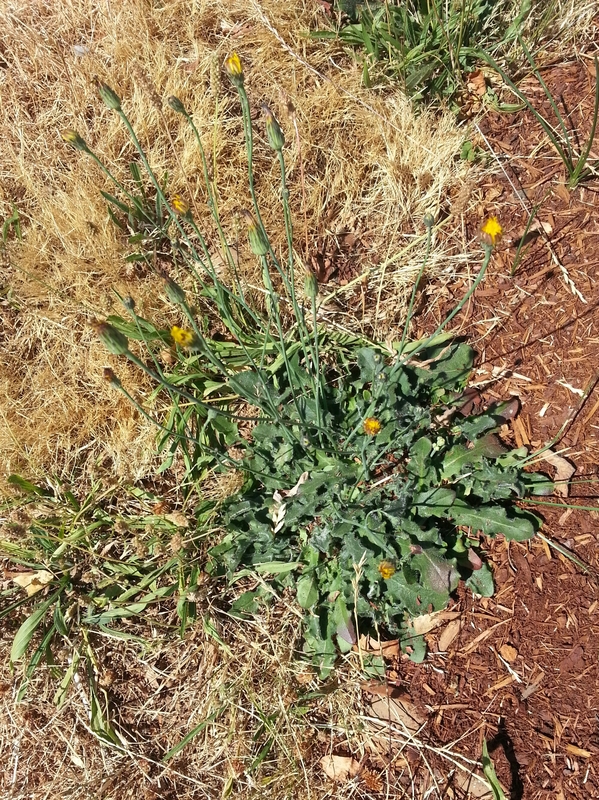 There are lots of false dandelions (cat’s ear) around Portland. Unlike the grass, they don’t seem to mind the drought. Like the greens can be eaten just like those of the true dandelion, and they’re way easier to grow than lettuce since you don’t even have to water them. They’re also more bitter, a bit like arugula or mustard greens. I haven’t tried the root, though it’s also edible. I’ve read that some people roast the roots as a coffee substitute like dandelion or chicory roots. Maybe I’ll try it sometime when I get back to Wisconsin. 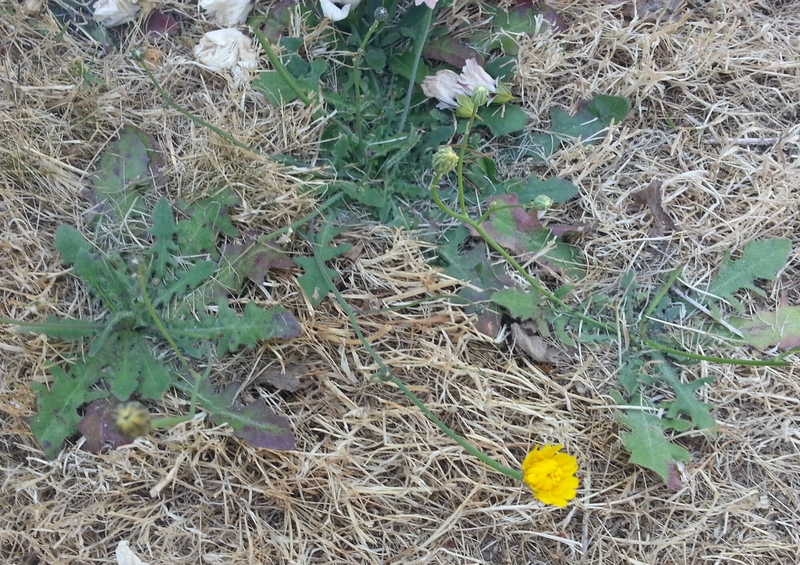 We have false dandelion in Wisconsin, though don’t often see them in lawns there. But they are pretty common along my local lakeshores. Maybe I’ll try it sometime when I get back to Wisconsin.